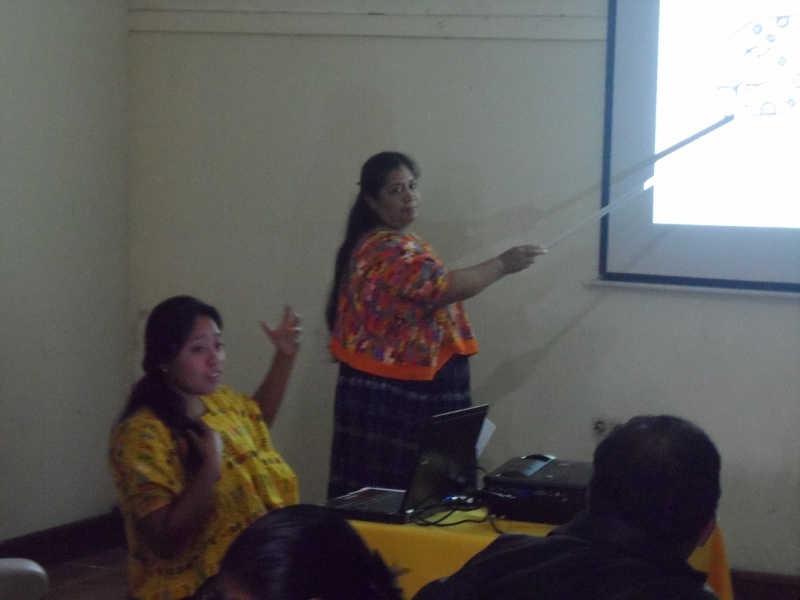 Guatemalan participants from the Valladolid Congreso have been active in Cobán, organizing and presenting workshops on glyphs and the calendar. 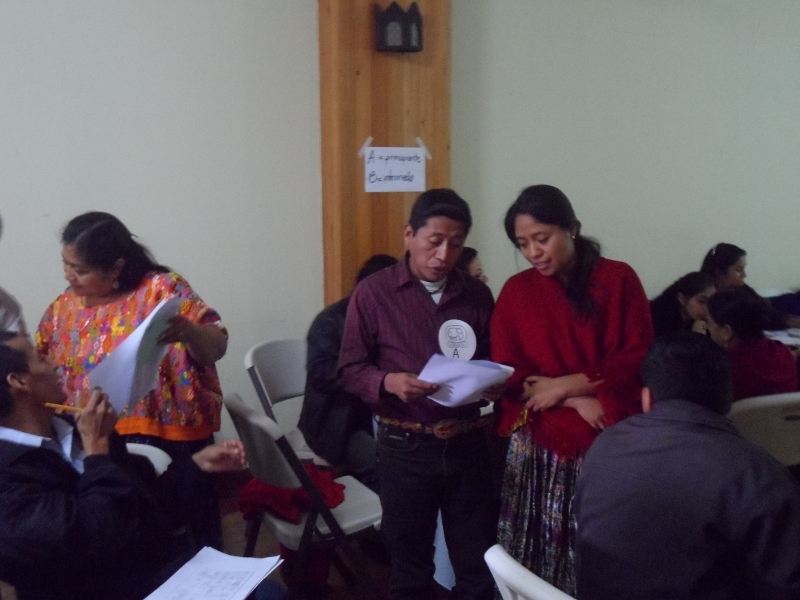 Marina Rosales López, Yudy Mo’ Isem, and Mario Sebastián Caal Jucub have taken the initiative and dedicated themselves to bringing Maya glyphs and the calendar to the Mayan-speaking communities of Alta Verapaz. 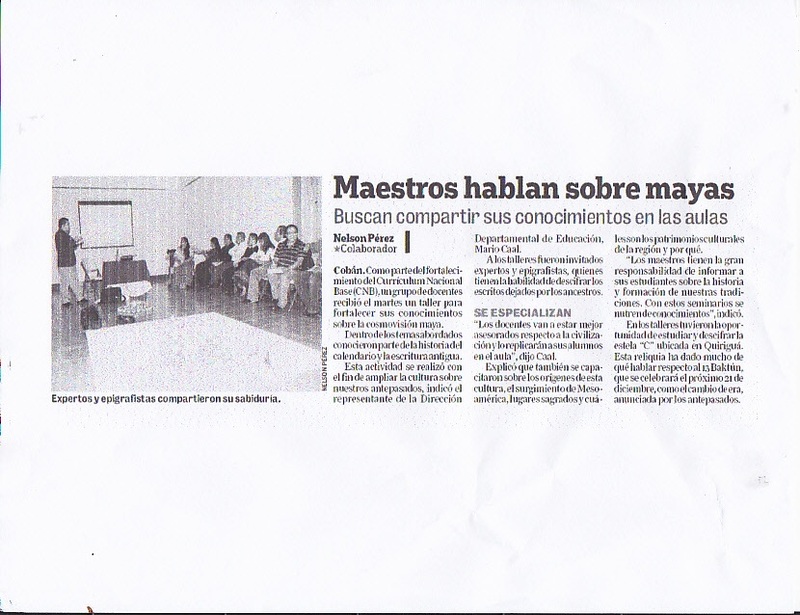 MAM colleagues Sebastián Si and Leonel Pacay, who were also in Valladolid, assisted during one of the workshops. 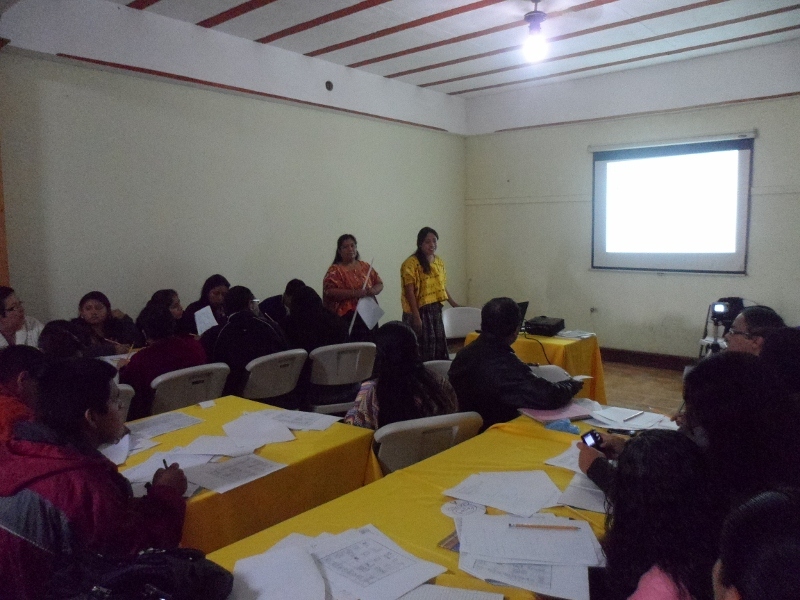 Event 1 took place on September 27, 2012, for 30 personnel from the Guatemalan Department of Education. The agenda is presented below. The principle objective? 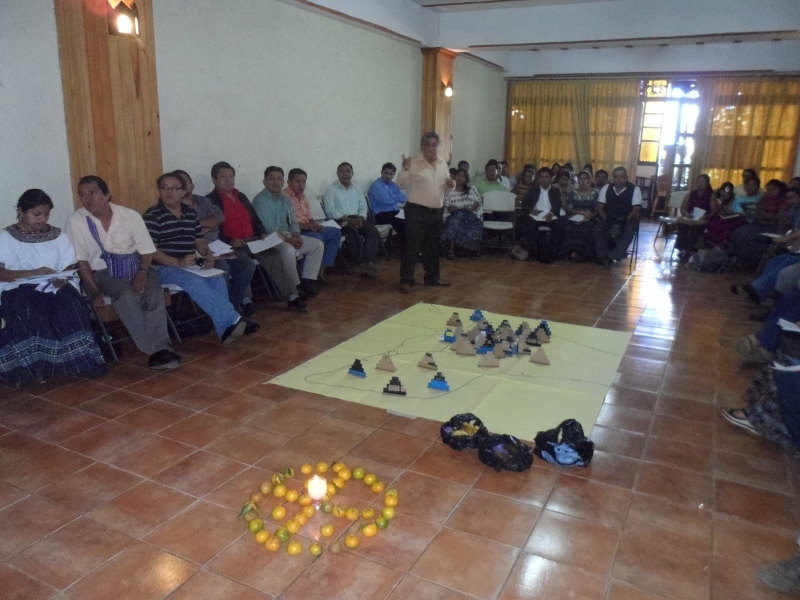 Strengthen Maya identity by taking ownership of ancient Maya writing; for teachers and specialists that work in education within the Maya communities. 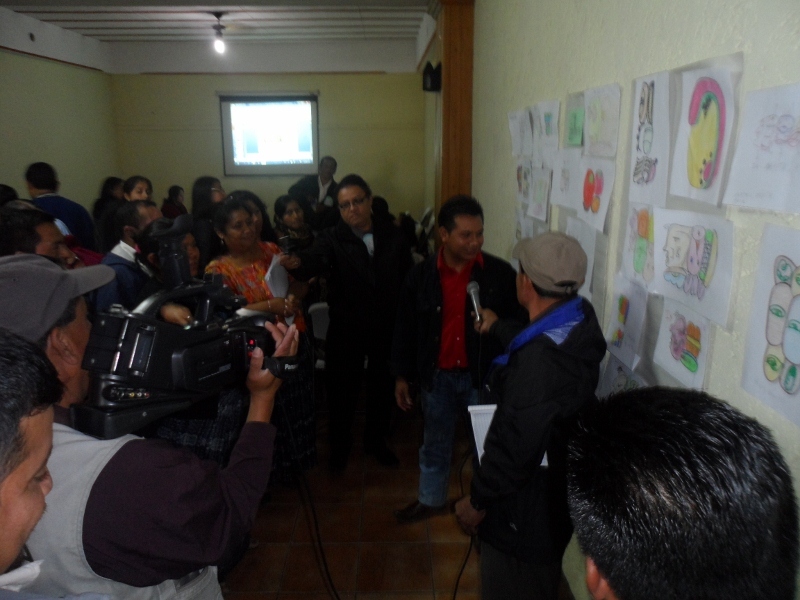 Fortalecer la identidad mediante la apropiación de la escritura Maya antigua, en técnicos y docentes que laboran en educación, dirigido a pueblos mayas. Conocer la historia de la escritura Maya antigua, para determinar su origen. Ejercitar el Sistema de escritura Maya para conocer su funcionamiento y sus Reglas de composición. 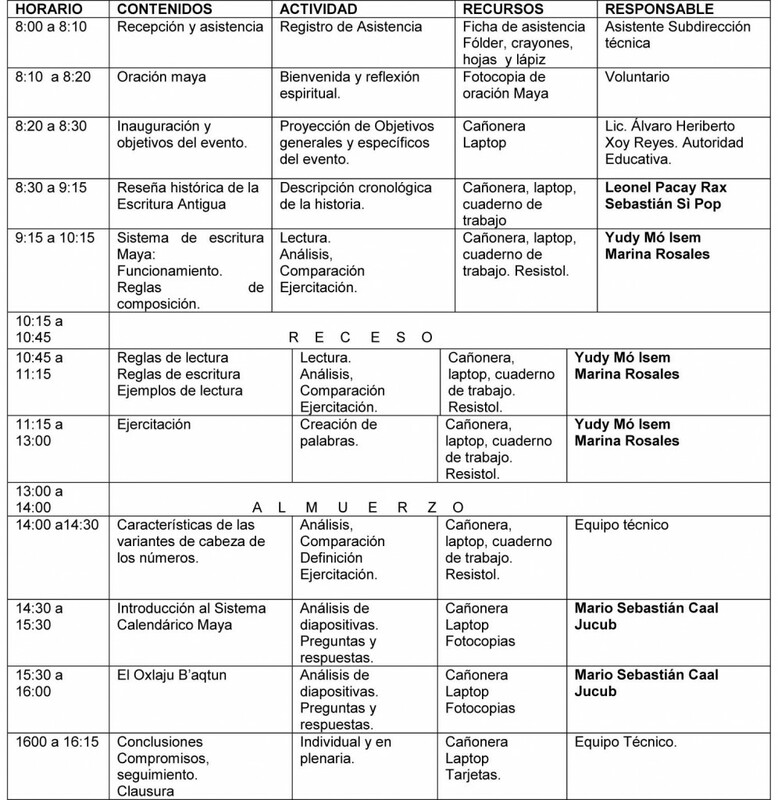 Ejercitar las Reglas de lectura y escritura. Identificar las características de las variantes de cabeza de los números en maya. 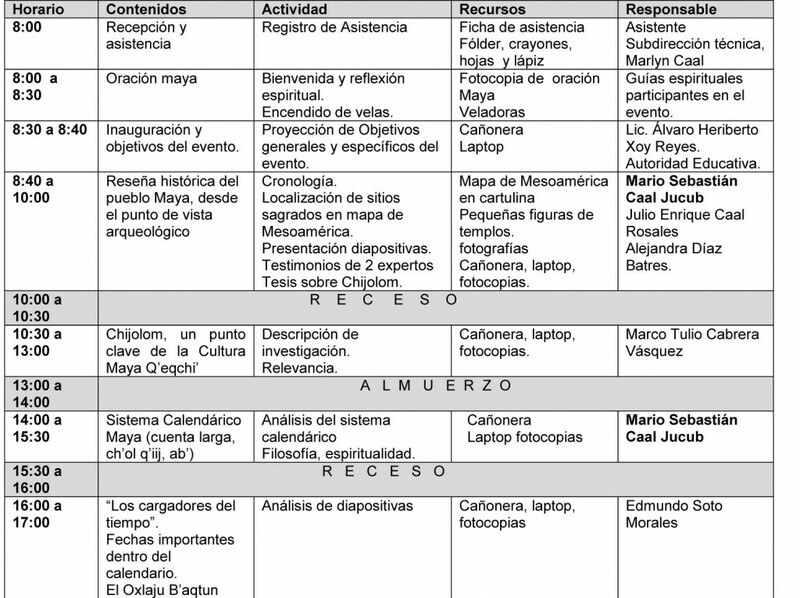 Conocer Sistema Calendárico Maya y su utilización en la escritura maya. 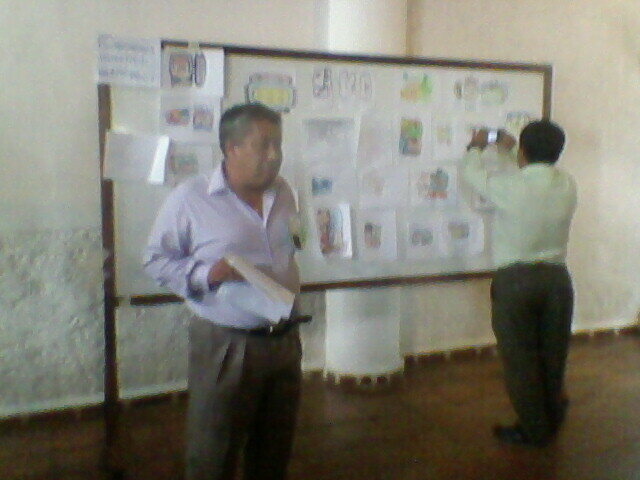 The person directing this all-day event was Mario Sebastián Caal Jucub. Event 2 happened November 13, 2012, attended by 70 participants from various groups and institutions. Locating sacred sites on a map of Mesoamerica. Yudy Mo’, left, and Marina Rosales led the classes. Workshops included lectures for the entire group . 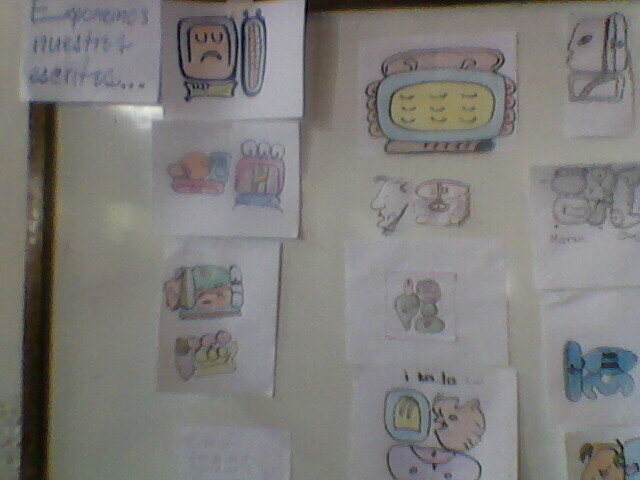 . .
as well as individual counseling. The media covered the event, both television and the written press. Based on the enthusiasm of the participants, the organizers planned yet a third event, expanded to two days with 80 participants. This took place on December 4 and 5, 2012, and will be reported in a future blog. Again, the stated objective fits so perfectly with our own mission here at MAM; learning Maya history, writing, and the calendar by teachers and other specialists in order to strengthen the education curriculum in the communities.